Very nicely located in the valley of the mountains. Great to do several small and bigger walks that start approx. 10 minutes walking from the hostel. Nice common room with a fireplace. The location is breathtaking , I stayed in the hostel . It was a mixed bunk , really clean and comfy bed , I slept like a baby , the staff were over and above friendly , the young man on our arrival , advised where was best to eat , and even provided a spot lamp for the trip back . Kitchen is equipped with everything required for cooking , obviously not the food , my favourite was the longe where I kit a fire and browsed my amazing pictures . The view in the morning is draw jopping . An absolute pleasure to stay in and have recommended to friends, I will happily return . First time at a hostel so didn’t know what to expect. Bedrooms are basic but clean and comfortable. Lounge is warm and cozy with an amazing open flame fire. Kitchens and bathrooms spotless and well equipped. Mountain views all round are utterly breathtaking! Awesome place. Small and cosy house in between the mountains along a single track road. Absolutely quiet and easy to start some little hiking tracks from. 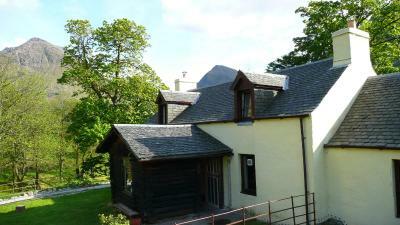 Well equipped kitchen and comfortable common room with a chimney. Great! The living room with the fireplace was wonderful, I spent two nights working there on my laptop with OK wifi. The kitchen was big and well-equipped and the room was with comfortable beds (no bunk bed for me). The surrounding nature and views were wonderful. The whole place is amazing, has an amazing vibe and great facilities, the common room with the fireplace was so cozy. Great people to chat with people from all over the world and a really good lounge and kitchen area. Fabulous location for Glencoe walking/ running/ climbing. Loved it! Great location. 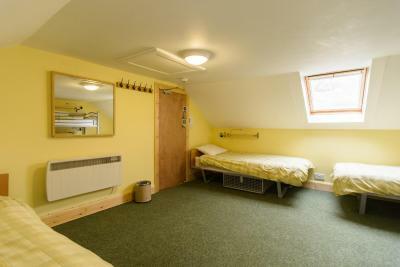 Good value budget accommodation, YHA style, for a walking break in the area. Kitchen, lounge, parking - and the flat beds were quite comfortable too, probably more so than the bunks (4 flat beds and 2 bunks in a dorm). 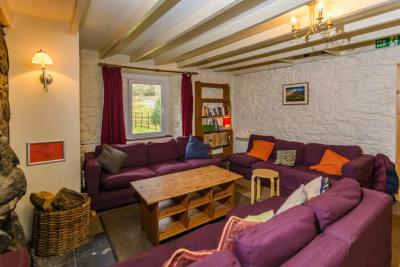 Very friendly and welcoming with cosy lounge and open fire. 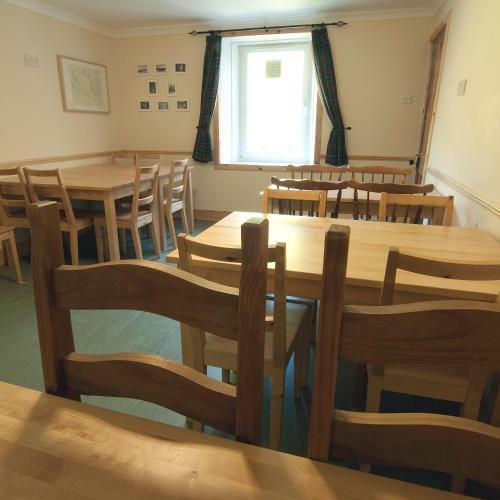 Glencoe Independent Hostel is situated in Glencoe, 18 miles from Fort William and 39 miles from Oban. Free WiFi is featured and free private parking is available on site. Inveraray is 51 miles from Glencoe Independent Hostel, while Bridge of Orchy is 22 miles from the property. 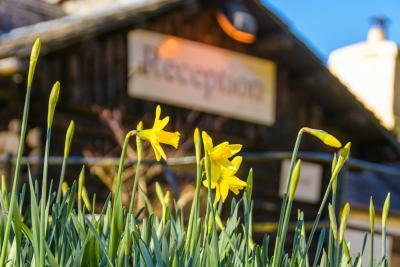 Glencoe Independent Hostel has been welcoming Booking.com guests since 7 Mar 2017. 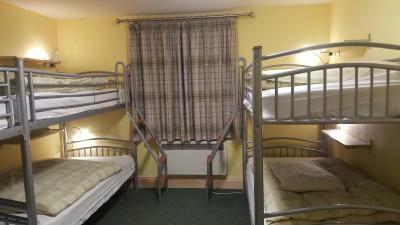 When would you like to stay at Glencoe Independent Hostel? House rules Glencoe Independent Hostel takes special requests - add in the next step! Glencoe Independent Hostel accepts these cards and reserves the right to temporarily hold an amount prior to arrival. Kindly note Glencoe Independent Hostel does not accept bookings of 9 or more guests, unless guests book the entire property, consisting of 24 beds. If you are traveling without a car please note that you will have to get off at the bus stop Glencoe crossroad and not at the visitor center!!! There is no other Way to get to the hostel than walking for approximately 20 minutes but there is a way next to the road which makes it a little easier. Bring your own food in advance as there are limited opportunities to get food. Not one thing . It was great ! Preface: this sounds like a lot of bad stuff, but they're all quite minor... The hostel is generally a bit cramped with low doorways and tight hallways. But you only notice it if there are several people staying there. Otherwise it's perfectly cozy. The kitchen can be a busy place, because it's a man thoroughfare into and out of the hostel. And the ovens were pretty finicky. They cooked very slowly, and often went out while we were cooking (they're all gas). But the stove tops were great. Some of my friends said one of the ladies showers never got very warm, but the men's shower was the opposite - it was too hot - no cold water. But both were perfectly useable. The beds were rather uncomfortable, with springs poking a bit. There are no laundry facilities, only laundry services where they do your laundry for £5. We loved relaxing in the common room, and it was great meeting so many people from so many backgrounds. The kitchen was well stocked with pots, pans, plates, utensils, etc, and was well maintained. The location was absolutely gorgeous, with access to several good walking trails. The owners are extremely courteous, always willing to answer questions. The husband even took the time to let me borrow a tool for a quick adjustment I needed to make on my gear. Super hospitable. If you’re not there to walk lots, you need to have a car. We were there for a memorial and hadn’t checked the distance from village to hostel and hostel to bus stop etc. However if there’s anywhere you want to be lost and walking for miles, Glencoe is definitely the place to be! It’s about 30 minutes walk out of Glencoe, so could be tricky for people without a car. Fine for us though. 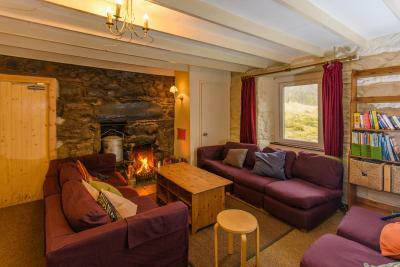 Cosy rooms, great location amongst the mountains, lovely staff. We were there on a quiet weekend and ended up feeling like we were staying in our own little cottage. Very homely feel. Good value for money, comfortable and functional. The ladies toilet and shower was on the other side of the building so it wasn't convenient. The hostel was in an incredible location with a gorgeous view. The location is a bit far when you're using public transportation so it's a bit of a walk. Definitely be equipped foodwise before you reach the hostel. A nice pub the Clachaigh Inn was a 20-min walk away to grab dinner, lunch and drinks. The showers didn’t work at all, no water from the kitchen taps so couldn’t clean dishes, the kitchen bin was leaking bin juice. Not only no hot water but in fact barley any water at all. A trickle that I managed to splash my face and brush my teeth.